COMPANY : C.W. HERWIG " LA BAILARINA "
Another classic C.W.HERWIG gin bottle featuring THE BALLERINA / LA BAILARINA on the side panel. 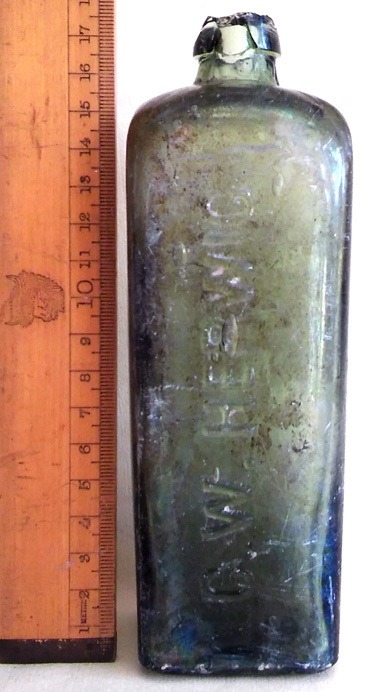 The significance of this bottle is the size - 17 centimetres / 6.75 inches. There is damage to the lip which I suspect occurred at the time of excavation, however I am sure Eduardo will be very pleased to see his bottle on display to the world.